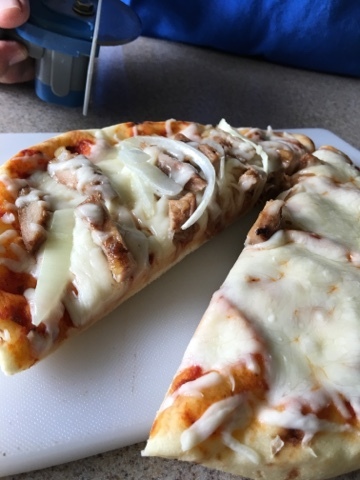 Disclosure: Products were received complimentary for review purposes. Father's Day is just two months away (June 19, 2016), and if you're struggling to find that perfect gift for dad, don't fret - simple head on over to Dadgifts.com and get the perfect gift delivered right to your door (or dad's door). Dadgifts.com makes shopping for Father's Day easy by categorizing their gifts by the type of dad you're shopping for: dapper dad, new dad, the executive, the athlete, the chef, the handyman, the mixologist, the outdoorsman, the traveller, and gifts for the man cave. I can't imagine any dad not falling into one of these categories. Still stumped? 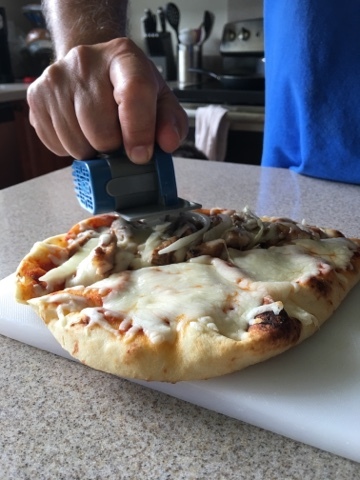 Consider this - whether the dad in your life makes his pizza from scratch or takes it out of the box from the freezer, he needs a good pizza cutter to cut his pizza, and Dadgifts.com has a very cute and effective one called the Pizza Boss 3000 Pizza Cutter made by Fred & Friends ($14.95). 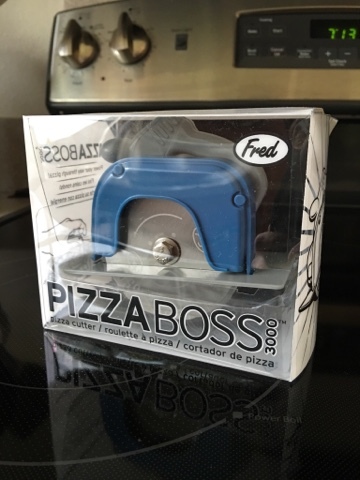 The Pizza Boss 3000 comes in a clear plastic box that is easy to wrap for gifting. 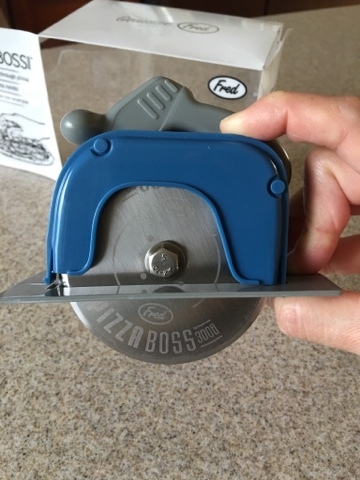 It's cleverly designed to look like a hand saw. 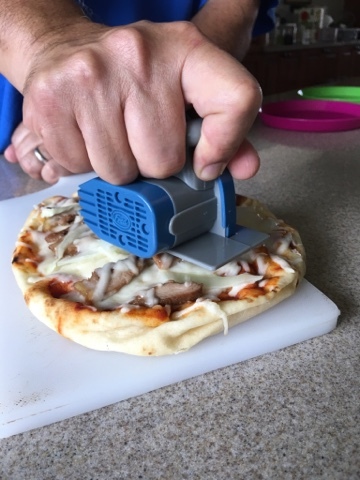 Dads will love the novelty. 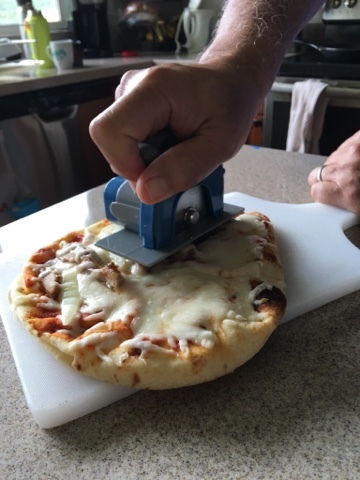 It fits comfortably in your right hand. 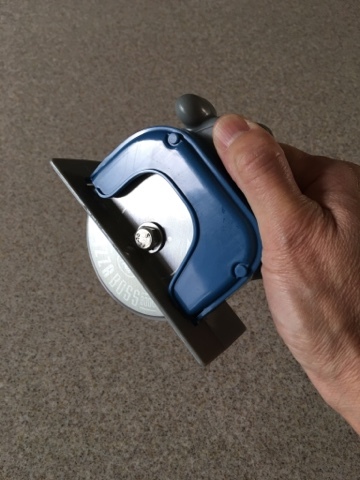 The blue shield below your thumb protects you from getting cut by the blade. 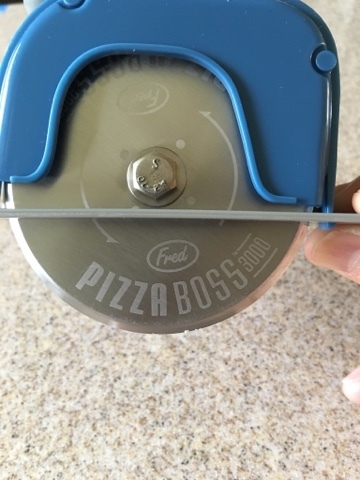 The Pizza Boss 3000 gives you a clean cut every time. 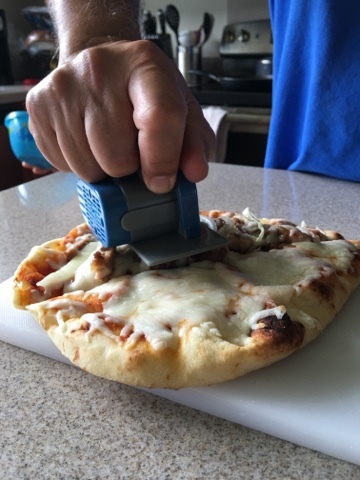 After you're done slicing your pizza, remove the blue shield and wash by hand. 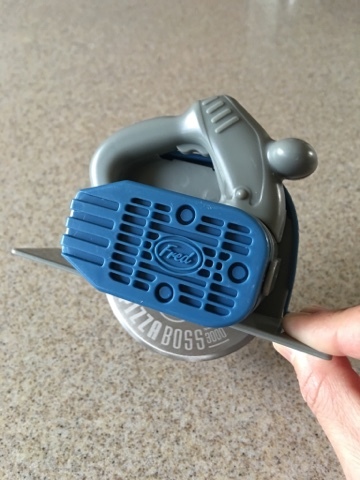 The Pizza Boss 3000 is a great conversation piece and also gets the job done with ease. 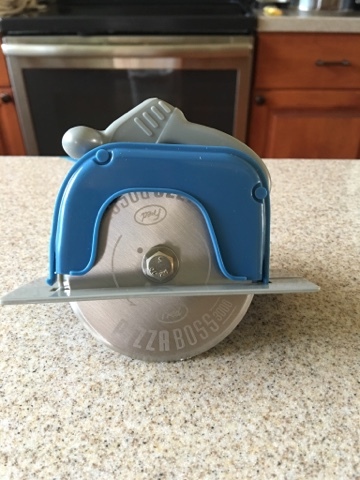 Note that it's designed for right hand cutters, but even if you naturally cut with your left hand, the Pizza Boss 3000 makes cutting pizza so easy that even lefties can use it with their right hand. 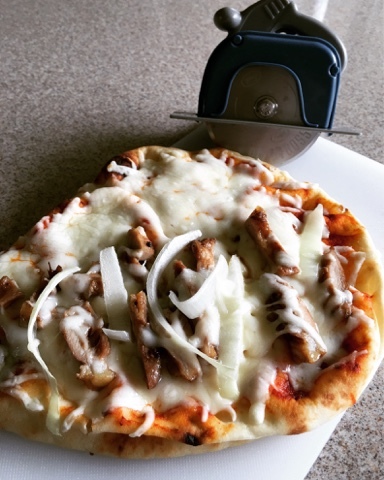 The Pizza Boss 3000 works well on thinner, shallower pizzas. 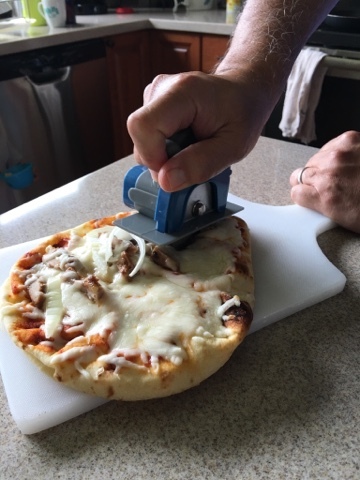 Since there is only 1" of clearance between the edge of the blade and the guard, it will not work well on pizzas with thicker crusts. 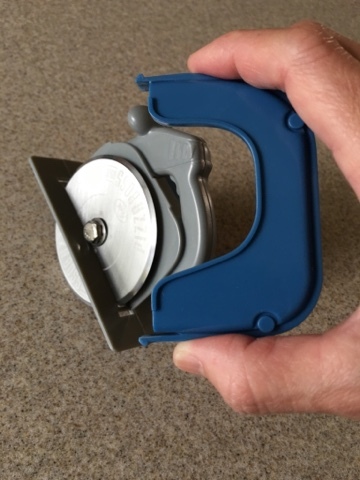 This item and other fabulous ones like it can be found on Dadgifts.com. Gifts start as low as $6.95 and all purchases are tax free. Shipping charges are very reasonable and if your order is over $100, shipping is free.